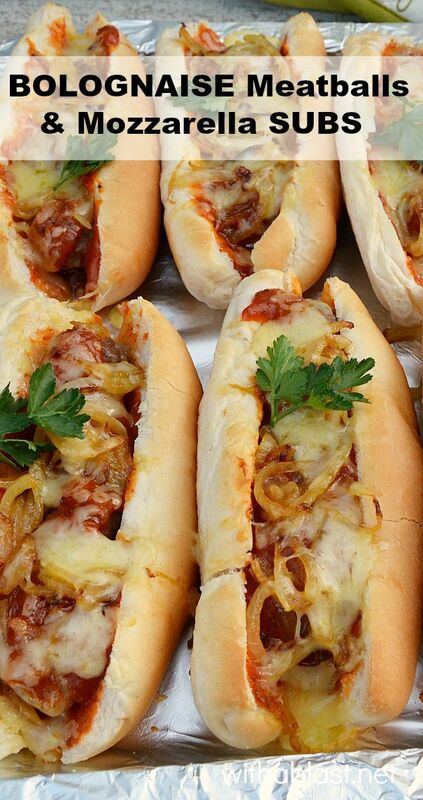 Bolognaise Meatballs and Mozzarella Subs – juicy meatballs, gooey cheese and more in these Subs – quick and easy, the cheater’s way ! So, I bought some sausages, removed the casings and had instant seasoned meat just ready to form into balls. Sausage meat, in general, is perfect for this. The specific sausages I bought were a little loose, if you know what I mean. Too loose to fry in a pan, but it worked like a charm when I baked them – kept the shape 100%. Other than prepping and baking the meatballs, this took no time at all to get ready. I think this recipe would be a great time saver on days when there are a lot of Sport watching (and of course Subs are ideal to serve on game days). Form the meatballs, place on a lined baking sheet, keep chilled, and pop into the oven whenever you are ready, or bake the meatballs way ahead of time and use as needed. 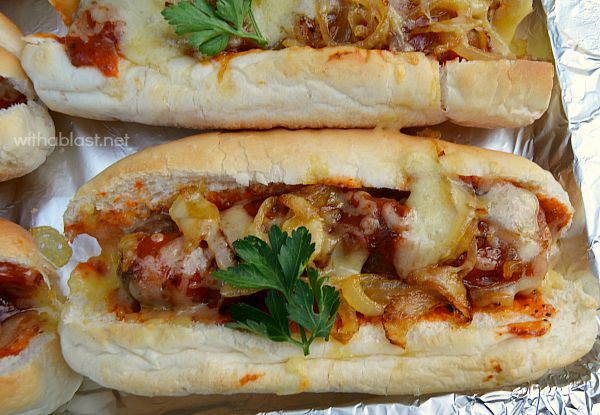 Juicy meatballs, gooey cheese and more in these Bolognaise Meatballs and Mozzarella Subs - quick & easy, the cheater's way ! Apparently it doesn't matter what you post…I want it for breakfast!! 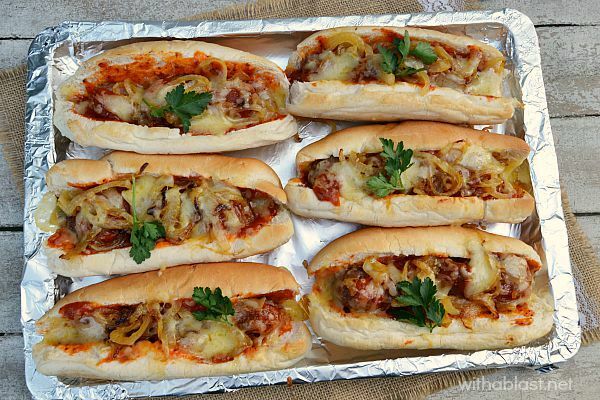 Meatball subs are one of our favorites and I'm saving this! Yummm! Now this is the sort of meal my men in the house would fight till the death for. The love subs but I make boring ones these would have them thinking I am the best.